Excellent opportunities for shopping with tradition and quality all year round. The city’s trade traditions have roots dating back to the Middle Ages which adds more interest as old cultural environments are mixed with today’s latest offerings. Be inspired by a varied offering of brand new, unique shops and well-known retail chains. Our knowledge, service and courteous demeanour means that we ensure you will find what you are looking for. We have created a dynamic centre with a wide range of activities and events. 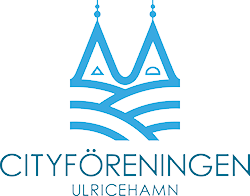 This site is run by Ulricehamn City Association whose goal is to achieve an active and attractive centre with an extensive range of shopping options, experiences and services. Welcome to Ulricehamn’s Tourist Office! We are located in central Ulricehamn and are happy to assist you with information about our municipality as well as the rest of Sweden. You can buy tickets from us for local events, fishing permits, souvenirs and much more. You will find us in the old station house down by the water at Järnvägstorget 2. If you arriving from the north, you can easily park on Boråsvägen 7 “Market Square”. There are parking spaces along Åsunden at Restaurang Bryggan on Strandvägen 7.